You can add pages with any content or use a page template to show special content. This is how to add a basic page. Enter a title and content. Go to Pages > All Pages. Your theme may support a header image. This will show at the top of the page. To set it, click on Set featured image in the Featured Image box (look toward the bottom of the right-hand column). Your theme may support a default header image to be shown when a page doesn’t have its own. If so, set this in Appearance > Customize > Header Image. Pages normally show only the content you enter. When applying a Template to a page, special content is shown instead, or beneath the content you enter. Templates also cause different sidebars to be used (instead of the standard Page sidebar), if the theme has a sidebar area. Our themes typically include templates for the following. Note: Not all themes have the same templates. Update to the latest version of your theme to be sure you have the most complete set. Note that most templates are intended for use only on one page (e.g. the Sermons template would be used on one page since you should only have one page that lists all sermons). Read the Child Pages guide to learn how you can create a page that lists things like ministries and testimonies. There is an option for hiding the sidebar on a page. See Widgets and Sidebars. Some themes have a feature for showing the same banner (featured image) at the top of multiple pages. See Section Banners. 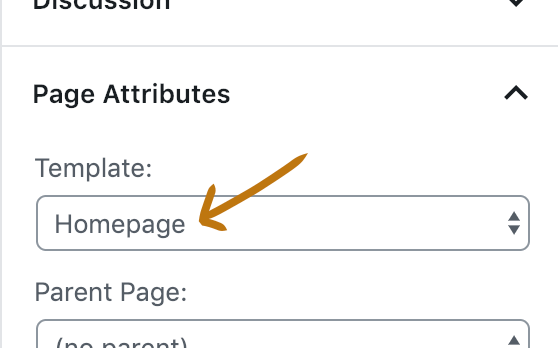 After adding a new page you will probably want to add it to your menu. Read the Menus guide for instructions.